Roll-your-own cigarettes (also called RYO, MYO, rollies, roll-ups, hand-rolled cigarettes, Tingwe, or simply rolls) refer to cigarettes made from loose tobacco and rolling paper. Roll-your-own products are sold in pouches or as tins of tobacco, sometimes including the rolling papers or cigarette tubes. 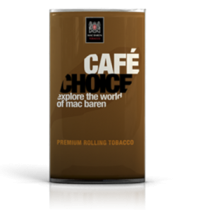 Loose filters are available for purchase and can be added to the rolled cigarettes. Some people use a machine to assist them and some people use pre-rolled cones or cigarette tubes. Hand-rolled cigarettes give smokers the ability to roll cigarettes of any diameter, thereby varying the strength of the cigarette.